Nailart Creations: Born Pretty Store Giveaway! 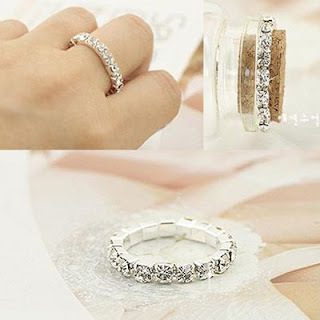 BornPrettyStore.com will offer 1000pcs FREE GIVEAWAY (Crystal Ring) today! (19th, April). Specific time and a special coupon code will be announced on the day in the Home News, Facebook, Twitter and other places. If you want to get it, please pay close attention to the update information. Ending time: All of the 1000pcs giveaways been ordered.